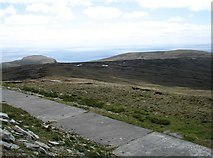 It is not a very large island, and the ferry trip takes only 5 minutes or so, and I decided to walk rather than take my car. 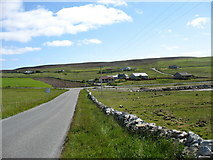 Of course I suspect that most visitors to Bressay just drive across it to reach the (passenger-only) ferry to the Isle of Noss Nature Reserve. 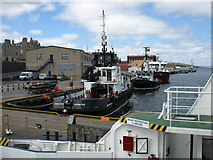 A visit to Noss is still on my bucket list, but I think unlikely to be achieved. 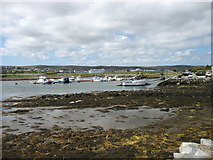 Taken while waiting for the Bressay ferry to depart. 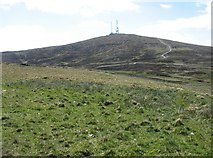 Running across the slopes of the Hill of Setter. 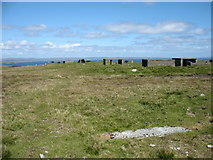 With the remains of a World War II anti-aircraft battery. 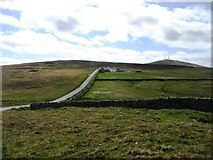 Ward of Bressay, the highest point on the island, is in the background. 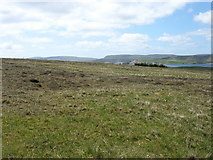 Looking just east of south, with Bard Head on the left. 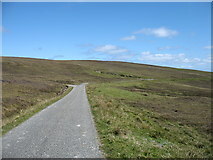 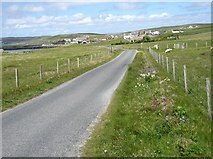 The lower slopes of the Ward of Bressay. 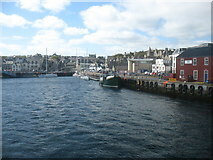 A large cruise ship in Lerwick harbour is seen in the background. 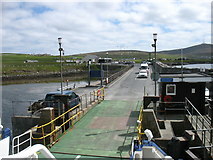 Taken from the ferry from Bressay which had just arrived.